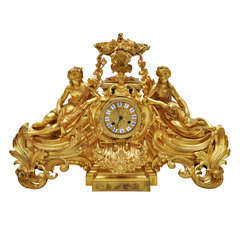 Charles X gilt bronze mantel clock, French, circa 1825. 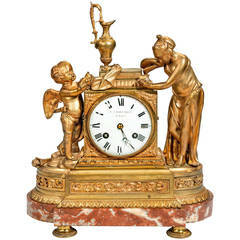 Sèvres Porcelain with doré bronze clock. 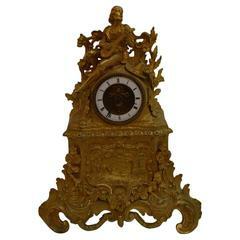 Clock is not running. 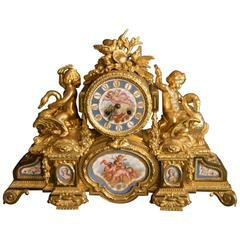 A little gilt mantel clock with birds dial with colors.